I know I am missing in action on this blog but there is a reason for it. 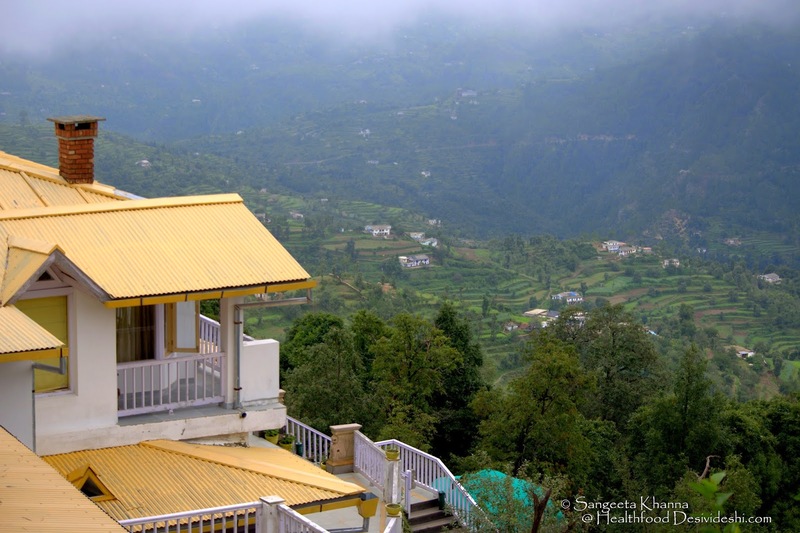 I have been busy traveling a lot these days and most of the travel is to a beautiful serene place in the mountains of Kumaon region of Uttarakhand called Dhanachuli. It has been 4 months since I started working on the menu of this picturesque boutique hotel in the lap of Dhanachuli hills called Te Aroha and I have enjoyed every bit of this experience of mine. The Chefs are from nearby villages and the whole F&B team comes from the same region. 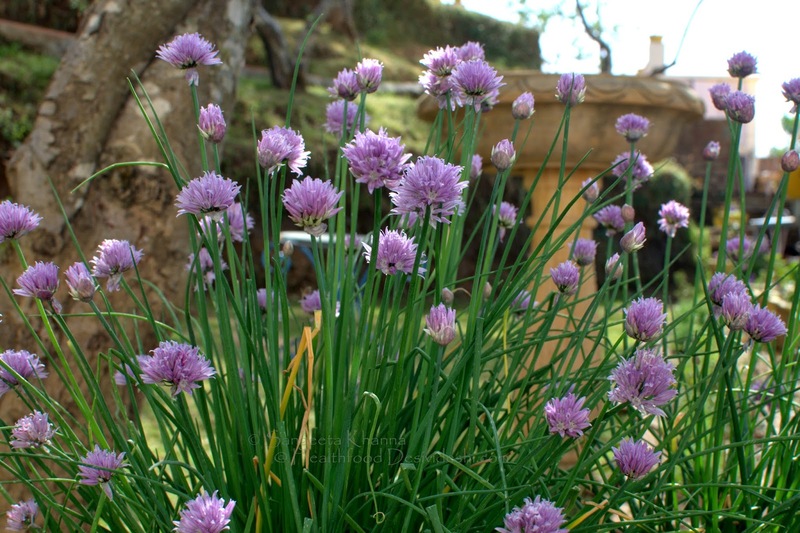 Their homes can be seen from one or the other hill around Te Aroha, they have step fields and apple orchards around the hills and talk about the local produce lovingly. Although they grow limited produce, the quality and taste is unparalleled. Such simple and happy people to work with. Te Aroha supports local residents by providing them jobs as well as doing various CSR activities in the region. Training the F&B team has been a pleasure that I have been enjoying every month for almost a week or so. Talking about local produce, we have to rely heavily on fresh produce procured from Haldwani which is 2 hours drive from Dhanachuli but getting really fresh produce is a challenge. Restricted availability of ingredients was the first challenge that I had to face while revamping the menu but I think I enjoyed that part the most and created salads with raw cauliflowers, broccoli, green beans, boiled potatoes and even with some pear and different varieties of apples growing in the orchards around Te Aroha. We have got tremendous response for the salads and the variety of sweet and savoury waffles, homemade pasta sauces, brown sauce for steaks and herb pestos have become favourite with visiting guests. Planning a menu is not only about introducing new recipes to the repertoire, it requires finer skills to develop new recipes using the best available ingredients in a place like this. 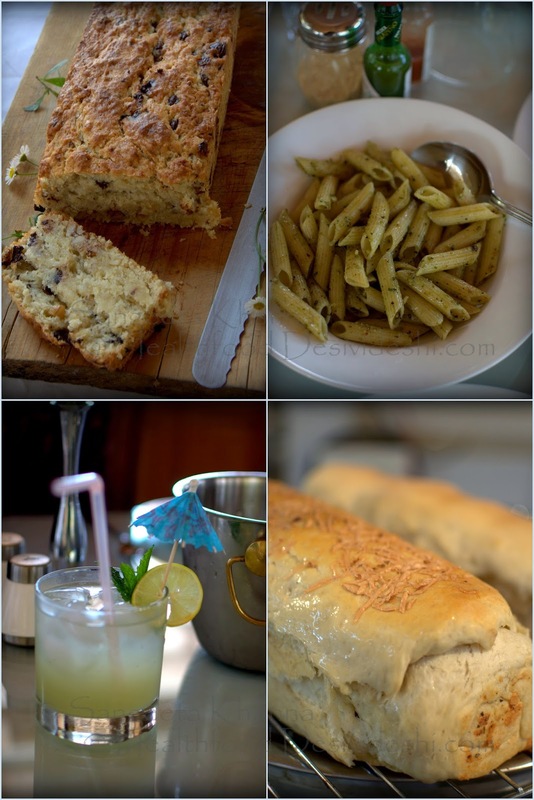 Since I love baking breads I thought of baking a few loaves in my very first visit there.The Chefs at Te Aroha have now started baking their own fresh breads as well as various cakes, cookies, biscottis and even rusks. We did loads of recipes together and now they feel proud to be able to create great food with limited ingredients. 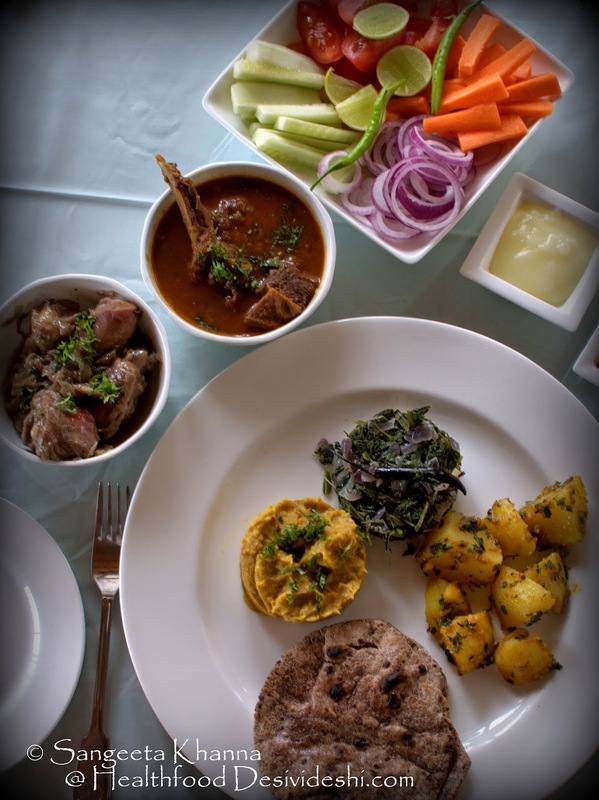 We do procure a few ingredients from Delhi but most of the everyday food served at the boutique hotel is cooked using local produce. I did around 10 recipes of waffles both sweet and savoury type. 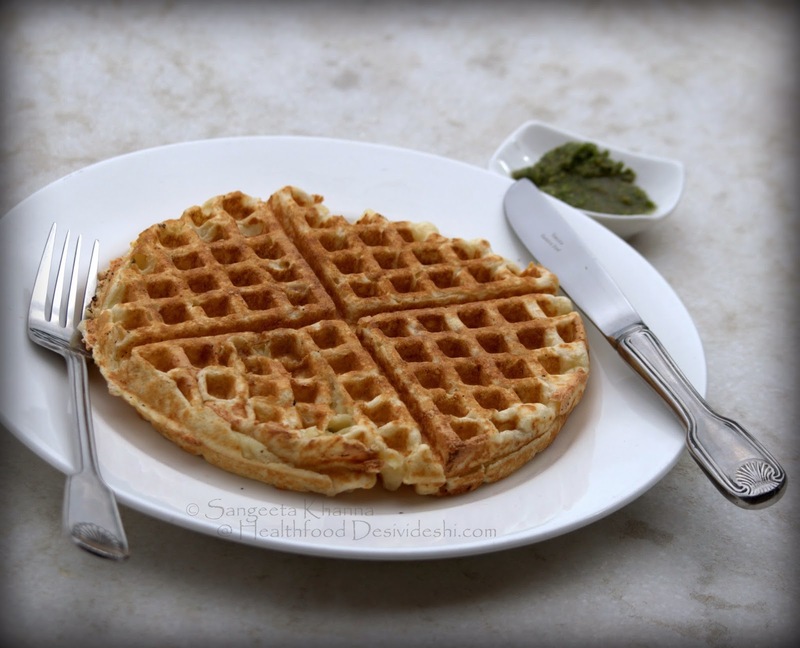 My own favourites are the ragi waffle that I shared and this savoury potato and cheese waffle served with basil pesto. Apart from this we started using the home grown fruits to make jams and preserves and a red wine and plum jam was sold out the very first day when we had made a 6 kilo batch. Later we did a spiced apple jam and a pear and ginger jam as well. 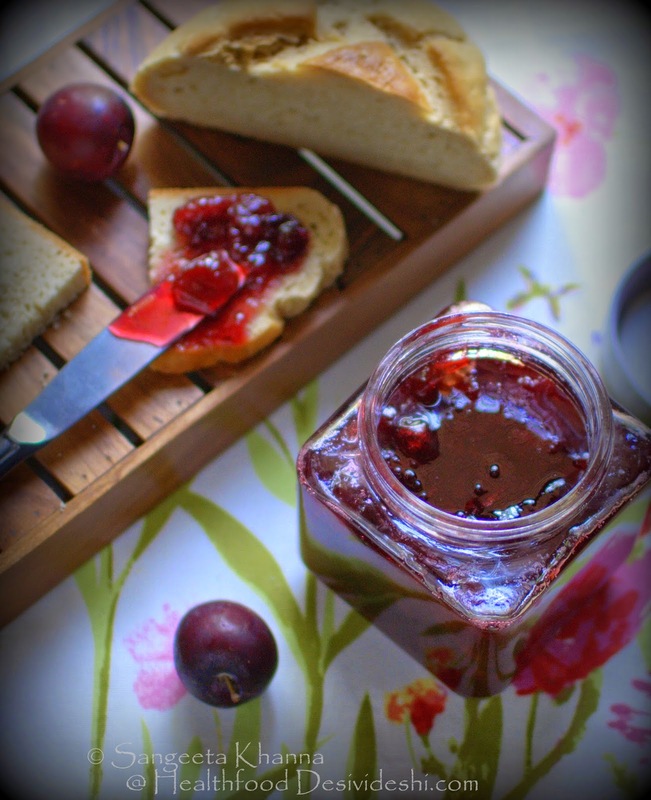 At Te Aroha we intend to keep serving jams made from the seasonal fruits plucked from our own orchards. The best thing I started there is a nursery that I planted myself last month. As we want to grow our own herbs and salad greens first and then some fresh gourds, carrots, cheri belle radishes, snow peas and strawberries etc for the salads and stir fries. The first couple of years will see a lot of experimentation on what all can grow in the tough climate. Te Aroha stays snow covered for about 4 months a year and the summers are really dry. I am sure we will be able to grow fresh produce despite these restrictions. Parsley, garlic chives and marjoram is growing well and a few baby pumpkins have appeared on the vines, seedlings of broccoli, red cabbage, kale and may types of lettuces and variety of tomatoes are already planted. Keeping my fingers crossed as I am supposed to have a green thumb and a failed crop will be really sad and disappointing. 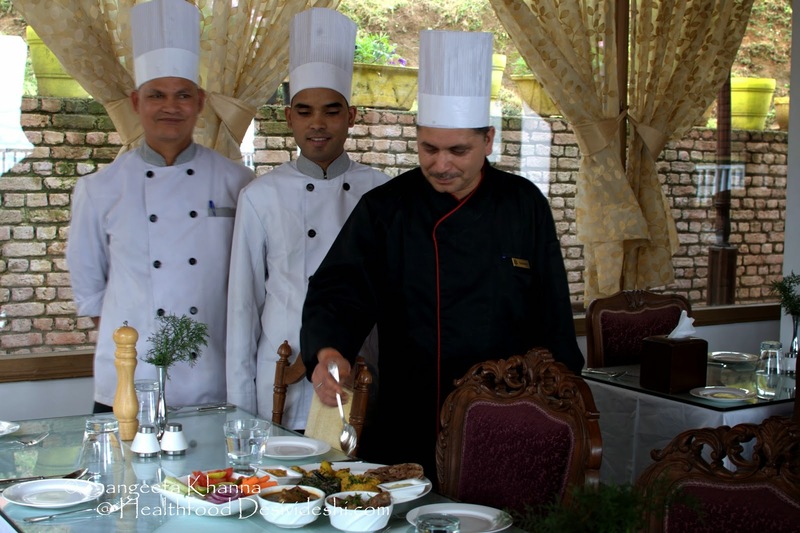 The Chefs at Te Aroha do a really good spread of Kumaoni dishes and usually it is a buffet when there are many guests. 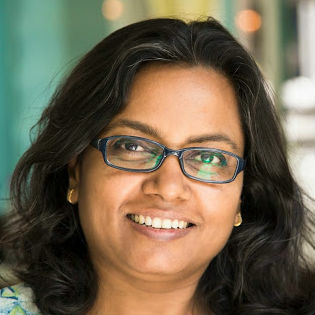 The ragi ki roti (called Mandue ki roti in local parlance), pahadi meat, ganderi ki subzi, alu ka gutka, pahadi palak and bhatt ki daal are all my favourites. 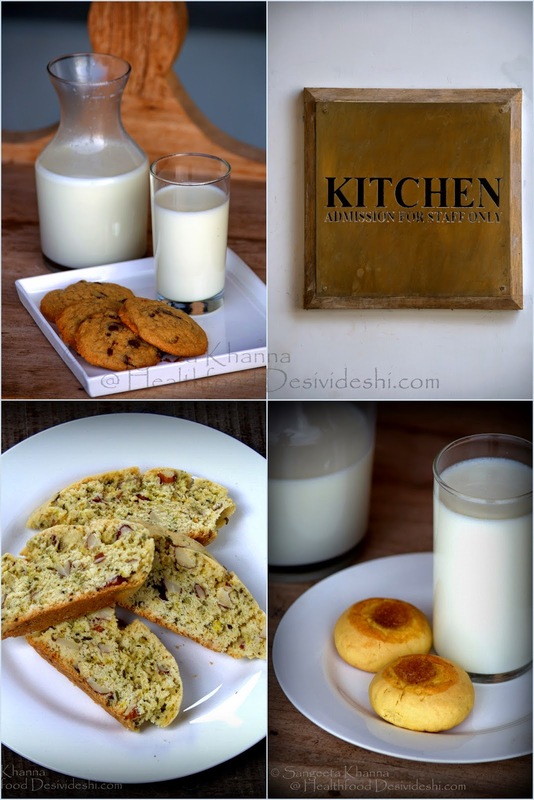 They serve ragi roti with ghee and jaggery too with this meal and the dessert is usually a jhangorey ki kheer (barnyard millet kheer). This is one meal I can't get bored of. They already had expertise in Kumaoni food so there was one thing I enjoyed from their own repertoire. The food philosophy at Te Aroha is to bring the best of nature onto the plate so the food is naturally tasty, preserving the real taste of individual ingredients and preserving the nutritive value as much as possible. Unless you want a cake or white flour cookie. Health seekers will have enough options to choose from I promise. In the first week of this month we had a painter's retreat organised at Te Aroha. Sumant Batra (the owner of Te Aroha) and Bipasha Sen Gupta (an artist and curator) did a wonderful job of organising this confluence of art in the lap of Himalayas. Many accomplished painters and a caricature artist had come to soak in the beauty and paint whatever they like. We got to see many beautiful paintings and sketches being drawn spontaneously and the food at Te Aroha was appreciated quite a lot among all this festivity. Some of the painters even got the idea of cooking a few foods outdoors and a senior painter Sridhar Iyer made a nice chutney using black nightshade berries. 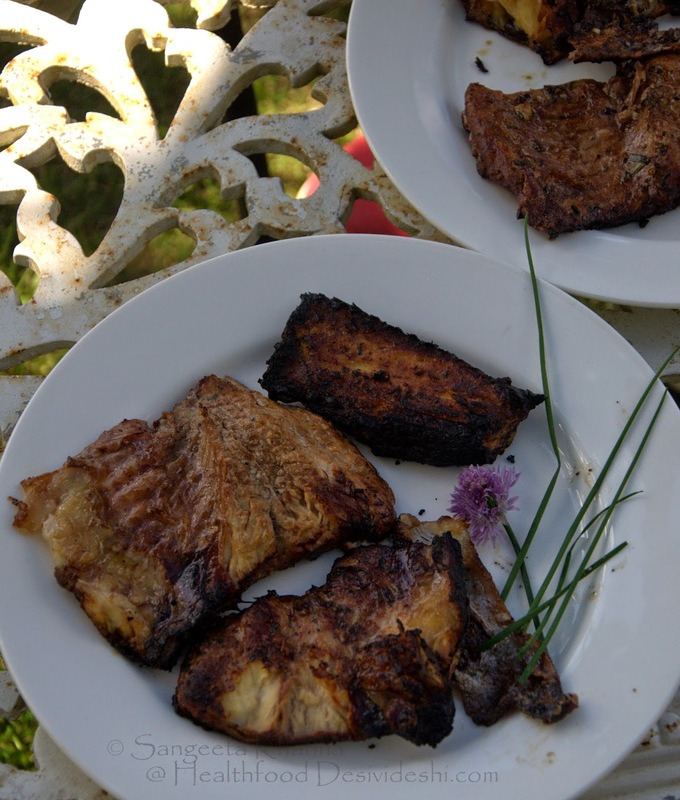 I made a smoked fish using fresh catfish from Bhimtal lake and that was what involved everyone around. 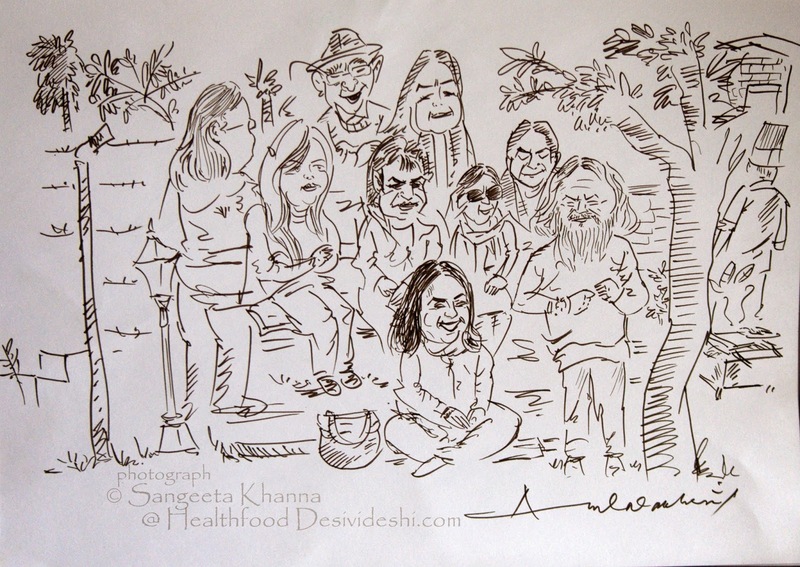 The talented caricature artist Anil Nakhasi made spontaneous sketches of everyone who had gathered for the Alfresco cooking. 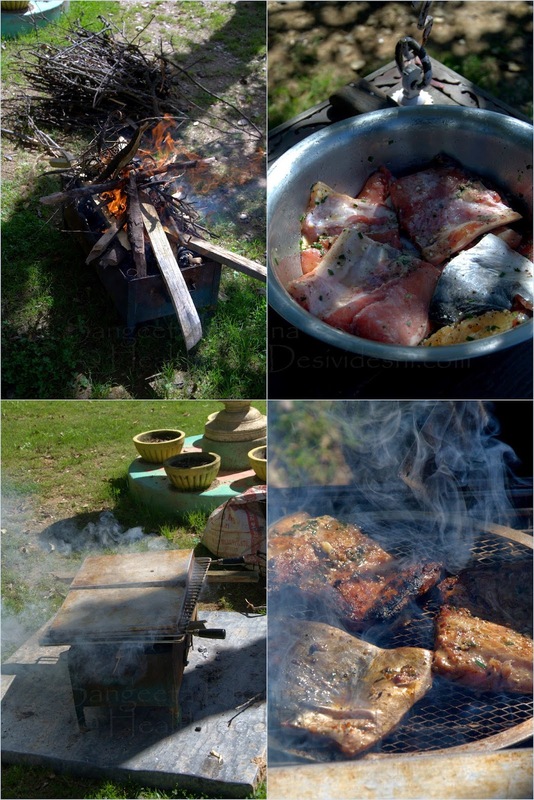 The recipe of this smoked fish is not very complicated but the wood fired grill added to the charm. A rectangular grill was used to fire the foraged twigs and then a steel rack was placed over it. 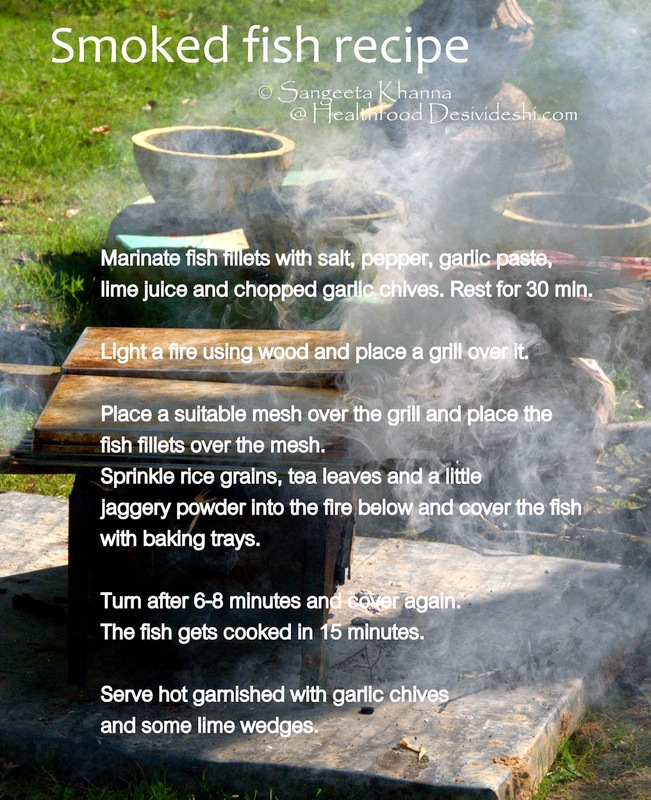 A few metallic pizza screens were used to grill the fish while smoking was done by adding tea leaves, rice grains and a little powdered jaggery to the fire beneath. Most of the smoked fish that came out of the grill was lapped up quickly by everyone around. It was served piping hot, garnished with garlic chives and lime wedges. 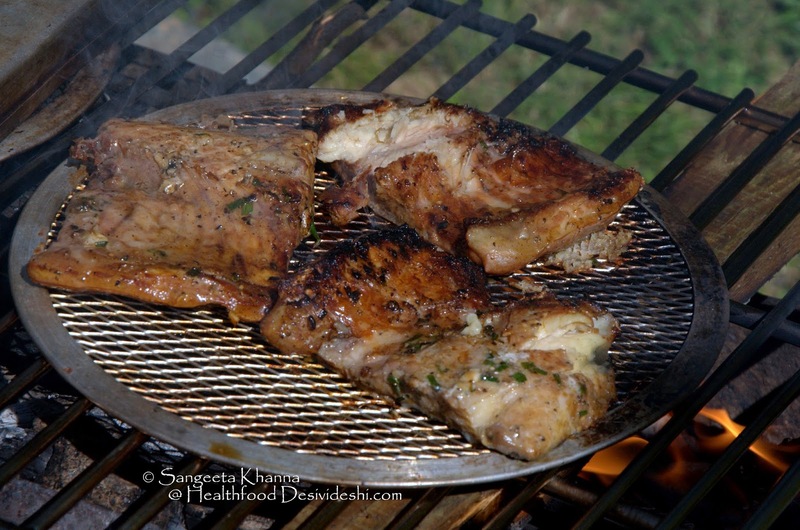 The marination ingredients should be light and a little tangy if you smoke fish like this. I used a mix of garlic paste, chopped garlic chives, lime juice and salt and pepper. Everything can be added according to taste and then the fish is grilled each side for about 7-8 minutes on high heat. Even I had freshly smoked fish after ages. Everyone loved how it had come out. We did a similar version of smoked paneer for a couple of vegetarians present there and received great feedback on that as well. The only extra ingredient in smoked paneer was a little fresh cream that provided moisture to the smoked paneer. But we are talking about smoked fish right now. It was melt in the mouth soft with a few charred bits and earthy smoky flavour to linger on. I am definitely doing some smoked fish in my garden this winter. 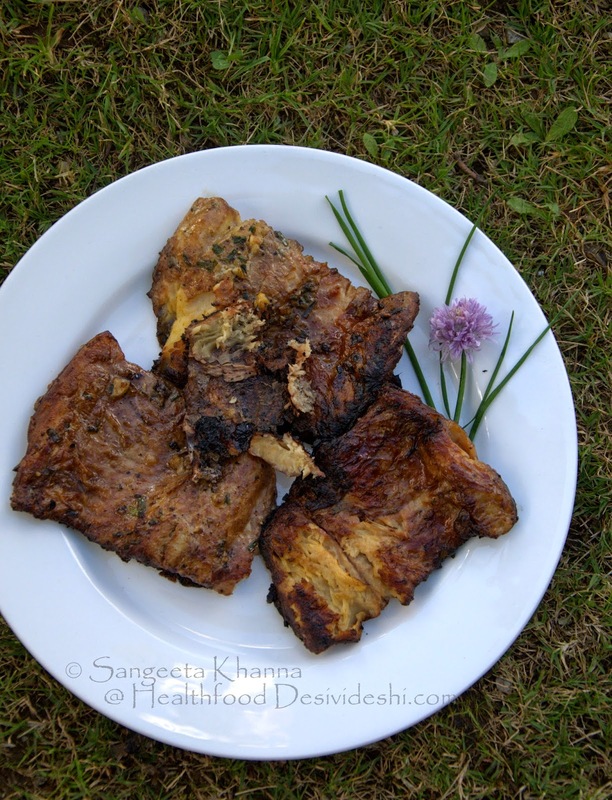 I might use steaks of rohu or may be sea bass with a little different marination may be. But smoked fish will definitely be on my list to do for winters this time. Thanks to you too Bipasha. It as great fun, you all were great company.